Credit: Flickr/Jeff Djevdet. CC BY 2.0. With real wages sinking and student debt climbing, economic circumstances are causing millennials to postpone taking on financial responsibilities. In 1985, the 21-34 demographic accounted for 38 per cent of America’s car sales, a figure that had fallen to 27 per cent by 2010. Between 2008 and 2011, half as many young people took out a mortgage than between 1998 and 2001. Despite falling prices for food and clothing, younger generations trail their parents' wealth at the equivalent age by seven percentage points. Once entering employment, millennials are facing longer workdays. Rather than a lazy generation fused to their iPads, they work longer hours than their parents’ generation. ‘Manpower Group’ found that millennials in the US shun the 40-hour working week, with the average young worker putting in 45 hours a week and 21 per cent of the survey’s millennial respondents working more than one job to make ends meet. A ‘Project:Time Off’ survey also found that millennials are more likely to forfeit paid vacation (24 per cent compared to 17 per cent of baby boomers among respondents). How does this feed through into politics? 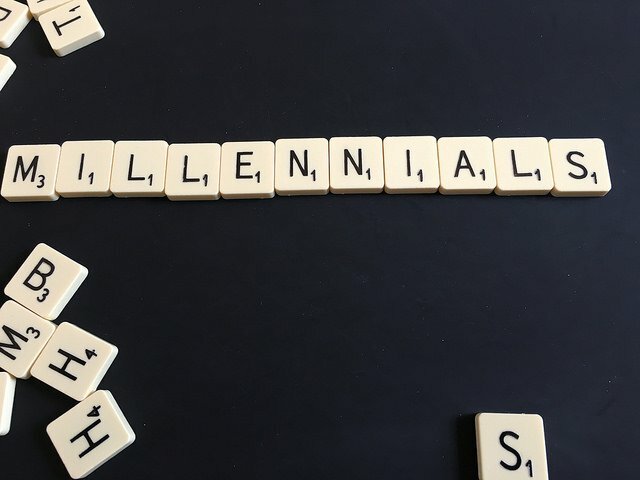 Millennials are confronted by a two-party political system that doesn’t look like them, speak like them, reflect their political views or address their core concerns about precarity. The under-30 demographic is the most ethnically diverse in American history, but the 115thCongress that took office in January 2016 was made up of just 19 per cent women, nine per cent African-Americans, seven per cent Hispanic members, three per cent Asian-Americans, and one per cent openly gay members. These unaffiliated voters are politically receptive and ready to put their support behind a candidate or a party that speaks for them. But neither of the established parties have offered much to excite the millennial generation. However, when millennials do mobilise behind a candidate they become a powerful voting bloc. Bernie Sanders attracted more than 80 per cent of the under-30 vote in key states like Iowa, New Hampshire and Nevada, and partly as a result was able to mount a coherent campaign in the Democratic presidential primaries. Most recently, Alexandria Ocasio-Cortez has emerged as a beacon for millennial voters. A 28-year-old community activist and former Bernie Sanders campaign organizer, Ocasio-Cortez defeated the incumbent and senior leader of the House, Joseph Crowley, in New York’s 14th Congressional District Democratic primary in June 2018. Ocasio-Cortez is running on a Democratic platform, but she doesn’t fit the Democratic mould. On paper, she is even further to the left than Sanders, and supports the abolition of ICE (America’s immigration enforcement agency), free college tuition, and universal healthcare. Her off-the-script running campaign acknowledged her break from the Democratic faithful. Rather than targeting Democratic voters she went after the unaffiliated, persuading them to register as Democrats to vote in the primary, which they did in overwhelming numbers. The Sanders and Ocasio-Cortez campaigns have shed some light on what it might take to bring millennial voters back into the political fold, and what the future of American politics could look like if they did. Firstly, millennials don’t subscribe to the current two-party model. Although Sanders and Ocasio-Cortez emerged from within the Democratic Party they occupy the fringes, living in a political River Styx with one foot in the Democratic camp and the other in a political world of their own making. Secondly, millennial voters are not single-issue voters. Unlike their parent’s generation, just because a candidate aligns with them on one core issue doesn’t mean that they will feel sufficiently inspired to head to the polls and vote. This was evident in the 2016 presidential election, when Donald Trump ran on a platform to reduce the influence of established economic and political interests in politics—a message that is often promoted in millennial circles—but he still lost the youth vote to Hilary Clinton. Finally, young people are acutely aware of the limitations of the four-year-democratic-cycle. They crave solutions to problems that transcend such cycles like climate change and racial injustice. Neither problem has a solution which can demonstrate results within a single term. These issues consistently rank at the top of millennial voter agendas but are rarely priorities for established political candidates, who prefer to channel resources into issues which have quick solutions and produce tangible results that they can call on to drive their re-election campaigns. But as generational shifts reduce the political influence of the baby boomers, millennials have the opportunity to transform American politics. They have the chance to break up the two-party system, perhaps introducing new parties founded on millennial values or pushing the Democratic Party to the left. Millennial voters could also force both parties to confront the limitations of the current political system. Revitalising democracy to tackle the problems of the modern world would inspire millennial voters and could lead to the emergence of grassroots movements campaigning for reform within the American political system. In millennials she has found a whole generation of disaffected voters—disaffected by an economy that has left them working longer hours for less pay than their parents’ generation; disaffected by the pursuit of education and a better life that has left them saddled with debt; and disaffected by a political system that has pushed them and their left-leaning beliefs into the margins. Ocasio-Cortez and Sanders are showing that millennial voters carry political clout, and that it is perfectly possible to bring them back into the political fold. The Democrats and Republicans can ill-afford to dismiss them as non-voters in the future. Whether or not the two party system survives, the millennial generation will be a force to be reckoned with in the future of American politics.